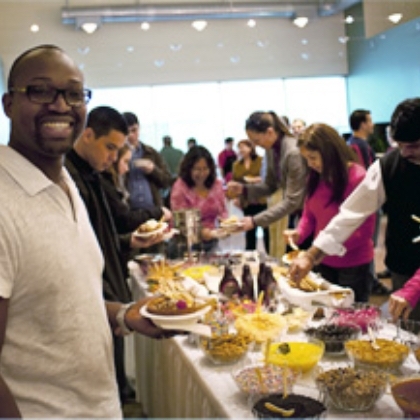 TiVo offers highly competitive bene ts and perks to our employees. Our benefits are designed to be competitive in our industry based on local market practices and legal and statutory requirements. We pride ourselves on going beyond the industry benchmark. Working for a California based company means lots of perks and great benefits! Everything from great Medical, Dental and Vision to paying for gym membership and commute to work. The list goes on and on. Tivo's benefit package is very good. The best part is the flexible time off. 4 weeks paid vacation, can schedule to take at anytime. Paid holidays. Good benefits. For exempt employees, unlimited time off as appropriate; good health coverage options; gym membership allowance; and company match for donations up to $500. The Company has a robust benefits package (medical, dental and vision plans at various levels of coverage) with a generous employer match on the 401(k) program. Work like balance is best in this company. Top management is not able manage the company well and it looks like there is no proper vision about the company. PTO and health was very good, but they seemed to cut down a little on everything else year by year. Generous healthcare coverage and healthy 401K match. Stingy on the equity comp especially with a flat stock price. Glassdoor is your resource for information about TiVo benefits and perks. Learn about TiVo , including insurance benefits, retirement benefits, and vacation policy. Benefits information above is provided anonymously by current and former TiVo employees, and may include a summary provided by the employer.